J Pineal Res 2014 57(2), 228-38. Selisistat (EX 527) purchased from Selleck. Cancer Res 2014 74(1), 298-308. Selisistat (EX 527) purchased from Selleck. Biosens Bioelectron, 2017, 91:400-407. Selisistat (EX 527) purchased from Selleck. EX-527 decreases bone marrow atrophy signiﬁcantly in the lethal septic model (H & E; original magniﬁcation, x 40). Tissue samples of long bones (femur and tibia) were harvested at 48 hours after CLP. Samples were processed and stained with H & E, and representative images were chosen from different experimental groups. Semiquantitative pathology scores for bone marrow atrophy were graded according to the diameter proportion of veins to bone marrow cells (mean T SEM, n = 5-6 animals per group). J Trauma Acute Care Surg 2014 10.1097/TA.0347. Selisistat (EX 527) purchased from Selleck. Western blot analysis of acetylated-lysine in Ex-527-treated embryos. Embryos were treated at the 2-cell stage with 100 and 200 umol/L of Ex-527, and extracts were collected 12 h later. Predictable band size of p53 is 53 kDa. Dev Growth Differ 2014 56(6), 460-8. Selisistat (EX 527) purchased from Selleck. 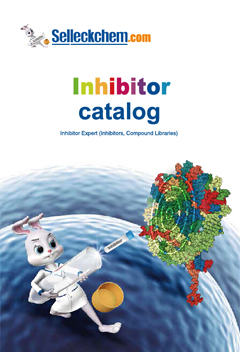 Greater potency, specificity, stability, and lower toxicity than other inhibitors of SIRT1 catalytic activity identified to date. 293T cells are transiently transfected with GST-tagged human SIRT1 in the pDEST27 Gateway vector using FuGENE-6. After 48 hours, the cells are lysed with 50 mM Tris, pH 8.0, 120 mM NaCl, 1 mM EDTA, and 0.5% Nonidet P-40, supplemented with Complete Mini protease inhibitor cocktail tablets. GST-SIRT1 is purified from lysates using glutathione-Sepharose beads and washed extensively in the above buffer. The deacetylation assay is performed with approximately 30 ng of GST-SIRT1 in the presence of EX 527 (48 pM to 100 μM). Deacetylation is measured using the Fluor de Lys kit using a fluorogenic peptide encompassing residues 379 to 382 of p53, acetylated on lysine 382. The acetylated lysine residue is coupled to an aminomethylcoumarin moiety. The peptide is deacetylated by SIRT1, followed by the addition of a proteolytic developer that releases the fluorescent aminomethylcoumarin. Briefly, enzyme preparations are incubated with 170 μM NAD+ and 100 μM p53 fluorogenic peptide for 45 minutes at 37 °C followed by incubation in developer for 15 minutes at 37 °C. Fluorescence is measured by excitation at 360 nm and emission at 460 nm and enzymatic activity is expressed in relative fluorescence units. Method: For viability assays, cells are treated with EX 527 for 48 hours. Cell viability is then determined using the Cell Titer-Glo luminescent assay, which measures total ATP level as an index of cell number. Luminescence is measured on a Luminoskan Ascent. For the proliferation assay, 0.5 μCi/mL of [14C]thymidine is added to the medium immediately after EX 527. Plates are counted at 48 hours (HMEC) or 72 hours (NCI-H460, MCF-7, and U-2 OS cells) in a Microbeta liquid scintillation counter. Thymidine incorporated by the cells is detected by proximity to the scintillant in the base of the Cytostar-T tissue culture plate. Solomon JM, et al. 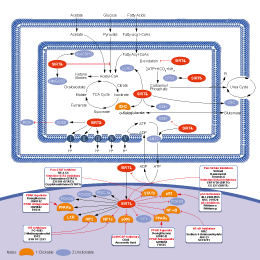 Mol Cell Biol, 2006, 26(1), 28-38. Kabra N, et al. J Biol Chem, 2009, 284(27), 18210-18217. Vetterli L, et al. J Biol Chem, 2011, 286(8), 6049-6060.
what is the extinction coefficient of S1541 WX527? The extinction coefficient of S1541 EX-527 is 1421.650635.